Many organizations think their current email security systems are up to the task of protecting them from phishing. Unfortunately, many email security systems fall short and do not keep their organizations safe. The reality is the entire industry needs to work toward a higher standard of email security. The proof is in the numbers. 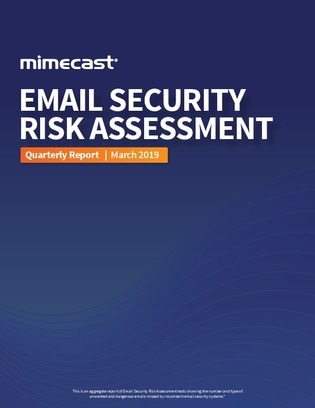 In this quarterly report, discover how Mimecast ran tests to show the number and type of unwanted and dangerous emails missed by incumbent email security systems.